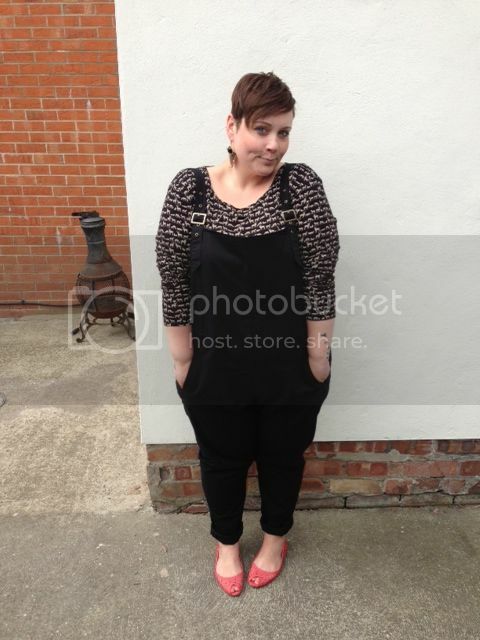 To dungaree or not to dungaree? Ha! That was terrible wasn't it? I told you my puns just get more and more laboured! 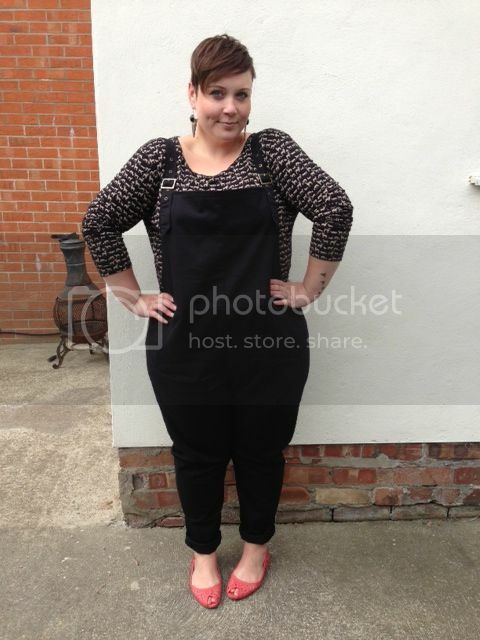 Ok, so dungarees? Love, hate? Remind you of the 80's too much? I've got a feeling they'll be one of those marmite trends this year. Me personally? I bloody love them, I love any all in one garment for some odd reason, jumpsuits, playsuits, onesies the lot... I'm a bit strange aren't I? So anyway, when I saw these bad boys on the ASOS site, I had to have them, I can just see them as an all year round wardrobe staple, with vest tops in the summer, blouses and jersey tops in the autumn and jumpers in the winter... To say I was a little excited would be an understatement. 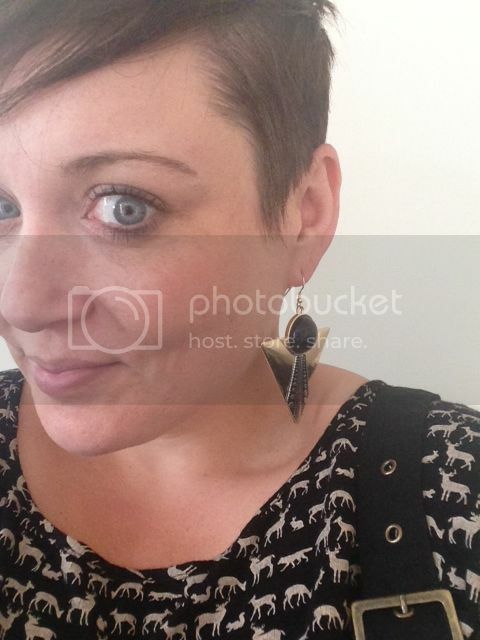 I've teamed mine with my ASOS woodland print top, Primark coral pumps and big earrings. I had originally worn them with a stripy tshirt until Michael pointed out I looked like a mime artist... A strong look I think you'll agree but probably not one I'm ready to rock quite yet! I sized up to the 24, in hindsight I think I might have been ok with my own size, but at least I have a bit of room in these for a looser look. They're a heavy twill material with a bit of stretch and really comfy. 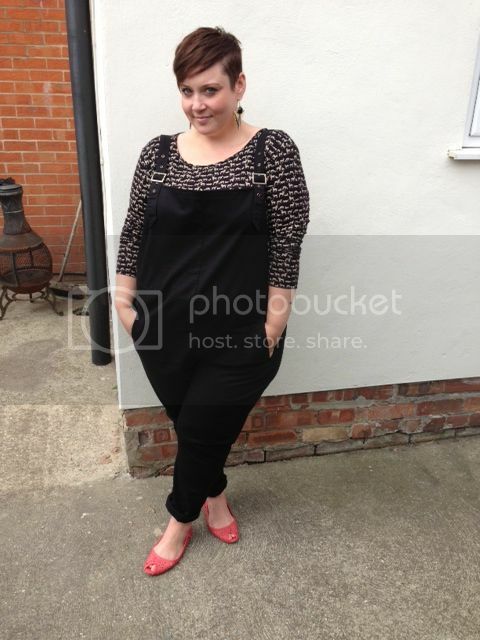 I get that this is not a look everyone will want to embrace, but I'm totally loving the dungaree! 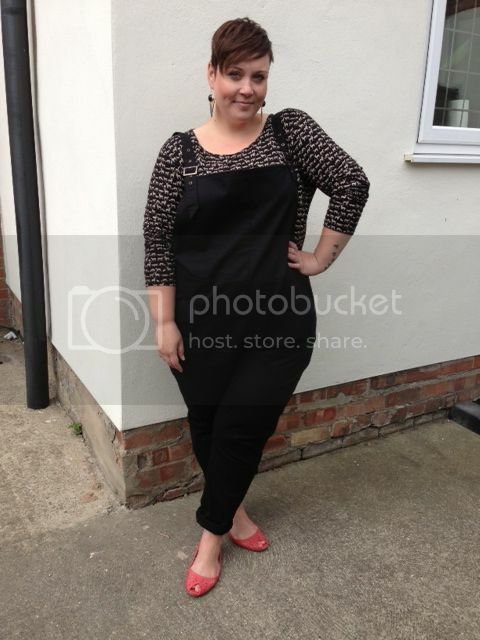 You rock those dungarees Mrs B! They're not a trend I like but you make them look great! You look fabulous! I love a good dungaree. I often think the classic denim ones scream Maternity when I've tried to wear them, but these black ones are amazing! Ha Ha thanks Jenny, I knew they wouldn't be everyones cup of tea! I have to say I've never been a fan of dungrees, think I'm too short and they make me look boxy, but you are really looking fantastic in them! Love them, in fact bought them as soon as they came out too! I think you look awesome in them & they're so versatile. You look super adorable! I love how you styled them. This is one trend I don't see myself trying. Too many traumatic childhood experiences. ;) I wore them religiously for a good 2-3 years and I think that is enough for one lifetime! I love it . You look absolutely gorgeous.